Review of “The Power of Place: KU Alumni Artists” at the Spencer Museum of Art in Lawrence, KS. The exhibit runs through June 30, 2019. There is a line in Karl Ove Knausgård’s My Struggle, somewhere among the many thousands of ruminations and observations, where Karl Ove admits with admirable candor his inability to understand modern art. There had been some point, he thinks to himself, when artists had stopped trying to represent the sacred and the beautiful and instead devoted all their energy to undermining it. And, he concludes, we are the worse off for it. You can see the truth of this observation virtually anywhere in the world of visual art. Go to a gallery or museum exhibit, read a review, survey an exhibition brochure, and you will see the giveaway words: trouble, interrogate, question, identity, problematize. Somewhere along the way we turned visual art into an enormous freshman cultural studies seminar. It was a relief, then, to visit “The Power of Place” at the Spencer Museum of Art on the campus of the University of Kansas. 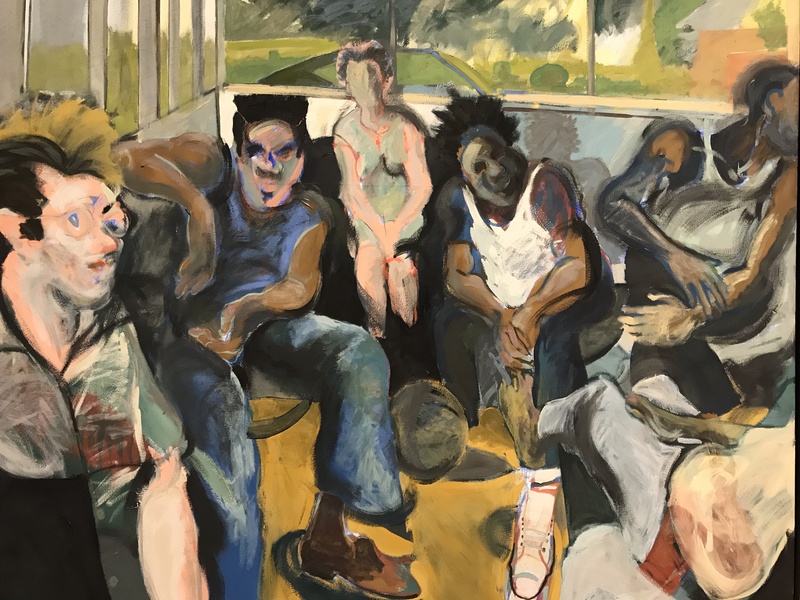 The Spencer is a wonderful museum with an outstanding permanent collection, though it is often overshadowed by the world-class Nelson-Atkins Museum of Art just down the road in Kansas City. The curatorial staff at the Spencer has assembled a collection featuring pieces by 30 professional artists who are all, like me, KU alumni. For the casual appreciator, it is a lovely show. For the Kansan, it is a familiar display of scenes from home. For the Jayhawk, it is a pride-instilling and sometimes quite moving exhibition. This is an important point. Localists often expound on the power of place as a general concept, while occasionally forgetting that it is specific places, landscapes, and communities that shape people. As it happens, the specific place of the Spencer has shaped me a bit. My former academic home is perched on a hill overlooking the museum, and I’ve spent many days this winter sledding down that very hill with my son. I used to make my students traverse the grove of hickories and catalpas outside the museum as an exercise in appreciating beauty. And on weekends I can often be found in that same grove with my dog, as he enjoys one of the finest squirrel colonies in the region. This particular place—the building, its surroundings, its art—has surely shaped me in certain ways, just as it shaped these 30 artists. Unsurprisingly, perhaps, I was most affected by the pieces that depict my adopted home state and its surrounding region. 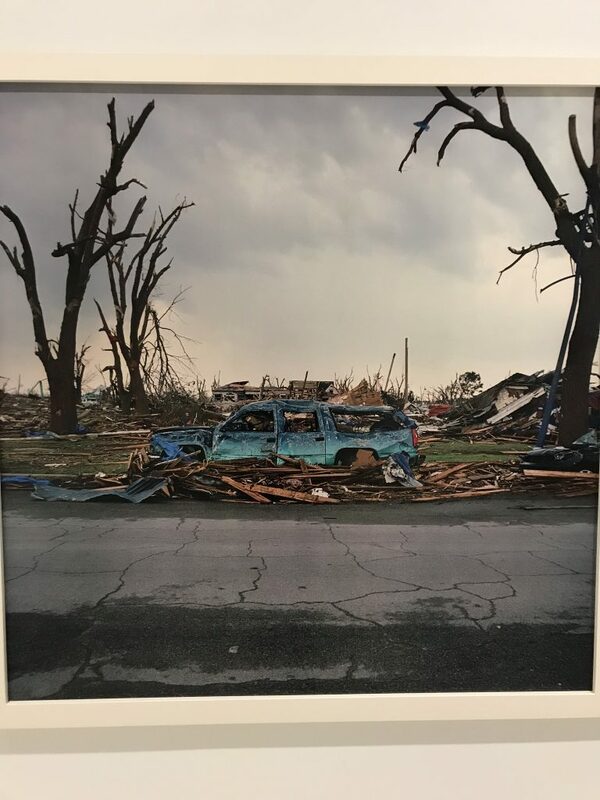 Larry Shwarm, a noted photographer who recently wrapped up his own exhibition here, has photos of the destruction in Greensburg, KS, following the deadly 2007 tornado there. The pictures are almost overwhelming in their scale and misery. Greensburg has rebounded, but part of the power of the photographs is knowing it could happen again at any point. 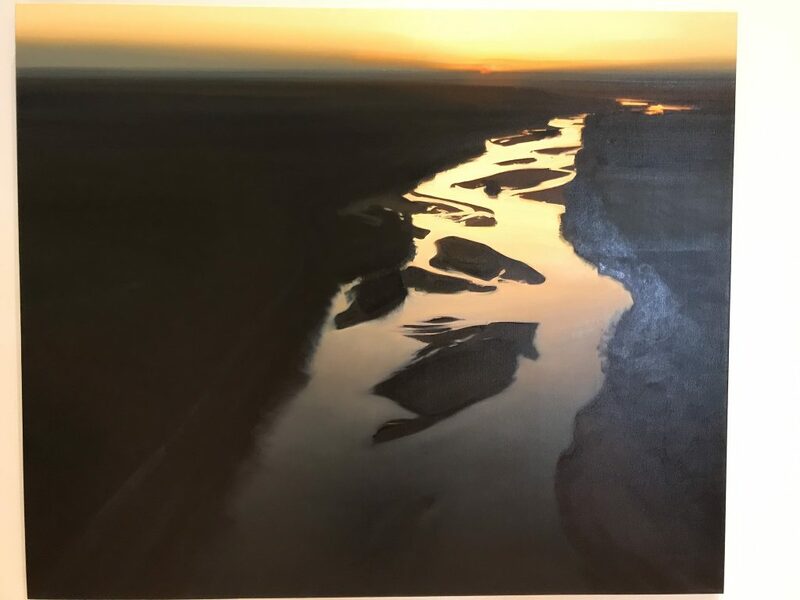 Perhaps most affecting for me, given that I live about a par three from its banks, were the depictions of the Kansas River by the local artist Lisa Grossman. 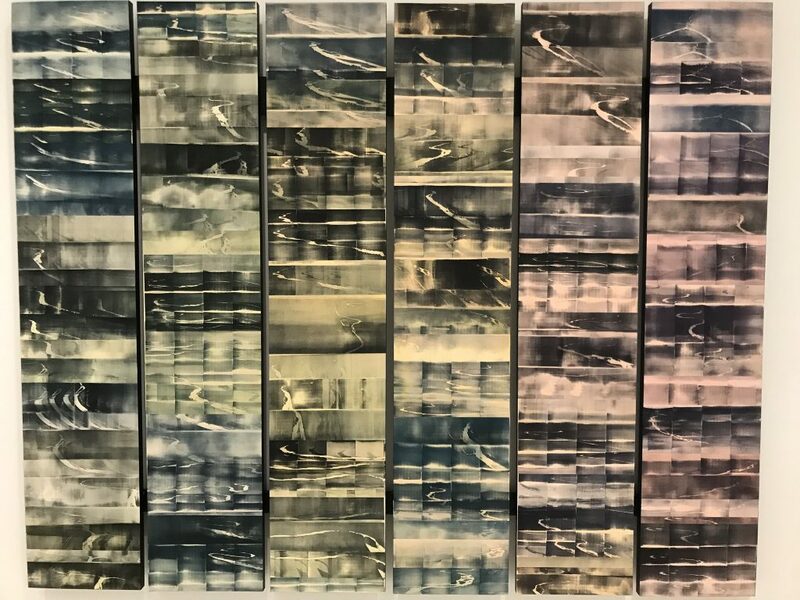 Her oil painting Navigating is a stunning depiction of our beloved (if polluted) local waterway, which winds its way throughout much of the state, flanked by bluffs and populated in winter by cascading bald eagles. “I revel in the lyrical sweep of the Kansas River,” writes Grossman, “particularly an oblique, aerial view of the floodplain stretching to the prairie horizon… There’s nothing like a painting to really seeand develop affection for places, and, for me, it was a way to honor the river as a whole, one painting at a time.” As fate would have it, when I visited this exhibition I had just finished a book on Monet’s time on the Mediterranean coast, and his thoughts were very similar to Grossman’s. The large canvas, the swirling oils, the sweeping landscape: is not an oil painting a kind of poem? An attempt to capture the elusive beauty of a thing, a time, a place? I happened to be standing directly in front of Grossman’s 86 Bends of the Kaw (the Kaw is the local name for the Kansas River, coming from the Kaw, or Kanza, nation) when Grossman herself walked up, giving a talk to a class. 86 Bends is an enormous piece, displaying a variety of panels with woodcuts featuring 86 different bends in the river. The woodcuts are mounted on wood panels, and the tinting is sometimes sepia, sometimes monochromatic, sometimes multilayered—but in every panel it is remarkable. As a fly fisher, I am predisposed to love rivers, but seeing 86 different bends of prairie water cut into wood panels is enough riverine beauty to win over even the most devoted mountain fans. This description gets at something that so many FPR pieces emphasize and so many FPR readers understand: direct and tangible interaction with those around you, in a shared space, is precisely the thing that creates a sense of place that is so necessary in our ephemeral world of globalistic placelessness. When Somewhere could be Anywhere, it is no longer Somewhere. For Newman, the front porch represented a place where people met, and where they—get this—disagreed, and yet still enjoyed each other’s company. Direct exposure and tangible interaction cannot be replicated in any online forum; a Twitter argument is not the same as a front porch argument, and not just because the latter often features shared libations. We’ve got to seeeach other, in a particular place, in order to love each other. 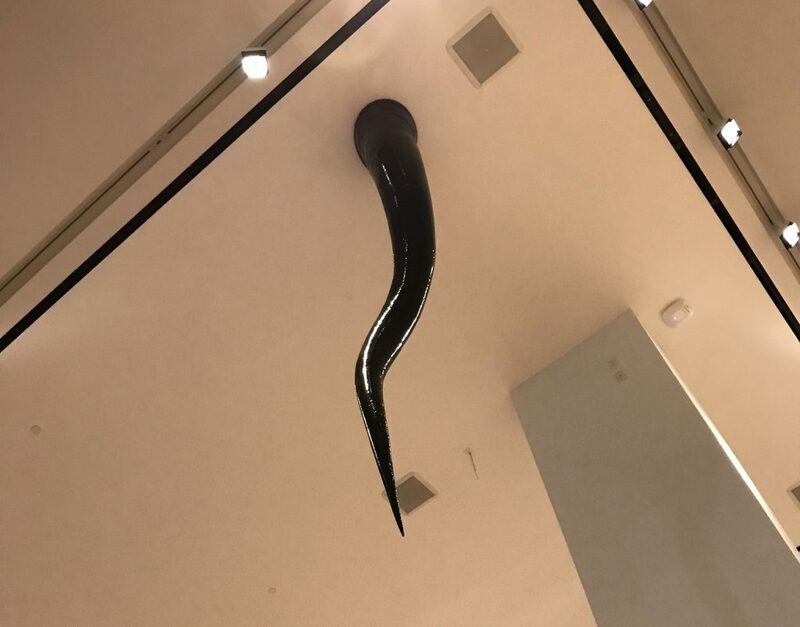 Another piece worth mentioning is Cris Bruch’s Harbinger, a sculpture of a tornado made up of “a single strip of paper, which [Bruch] estimates to be about 1.5 inches wide by about 500 feet long.” The tornado, affixed to the ceiling high above the exhibit, is unsettling precisely because of its quietly looming presence. Anyone who has lived in this area knows how quickly a tornado can appear, and we need look no further than Shwarm’s photos of Greensburg to see the havoc it can wreak on a place. 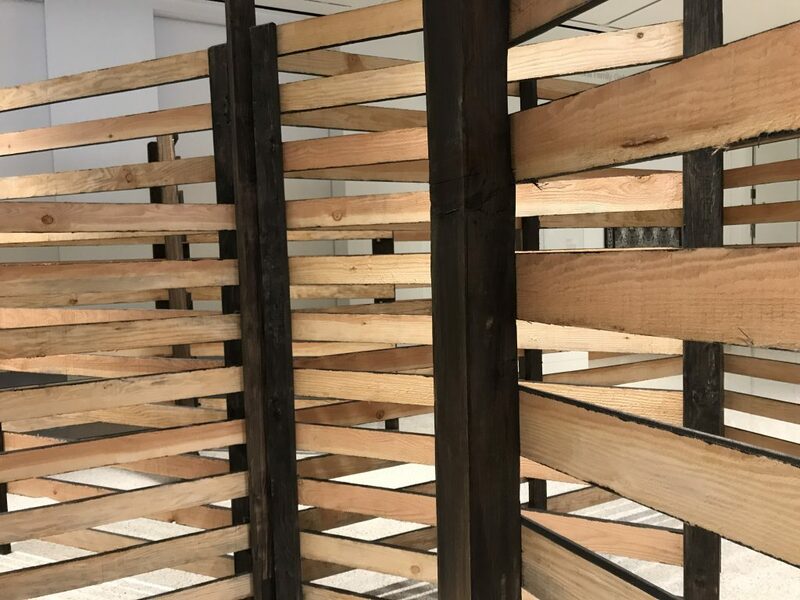 The exhibit also features Bruch’s large installation Pent, a series of wood fences “influenced by the standard geometry of livestock fences,” through which the visitor can walk. Bruch calls “this work a ‘people sorter’ that invites visitors to choose a path.” If you grew up in the Midwest, then you probably know these simple fences made of simple materials. Fences and walls figure prominently in the news lately, of course, but I can’t help but think we still don’t truly understand their literal and symbolic power. Settlers who arrived here erected walls and fences all across the open prairie that had been called home by free-ranging tribes for, sometimes, thousands of years. I fear we still do not understand the power, futility, or imposition of our barriers. The exhibition has a few misfires. Ann Hamilton’s draw, a video loop showing a moving piece of red thread again and again, is said to “create a place by drawing thread through surfaces,” which feels like a stretch. Anne Austin Pearce’s Animals Don’t Take Vows: Tortuga, which “reflects Anne Austin Pearce’s memories of coastal Mexico,” feels out of place. 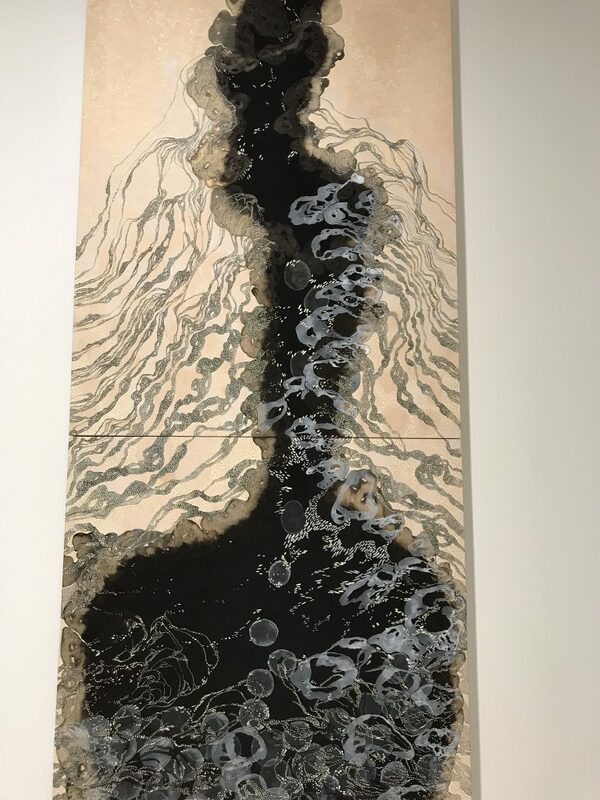 The ink and acrylic piece is said to depict “the contrast between the organic rhythms of nature and the organized structure of civilization,” but in truth it just looks messy and halfhearted, as if she remembered the night before that she had an assignment due and grabbed the nearest thing. But these are small complaints. The exhibition is generally ambitious, usually lovely, and always affecting. As a Kansan and a localist, I of course responded most strongly to the pieces that evoked a sense of place within this particular geographic place. What is strongest in this exhibition is the attempt by these 30 artists to represent, as Knausgård would have it, the places that have been sacred and beautiful to them. Something larger than themselves, in other words: something that predates the modern turn and its endless, exhausting self-obsession. Aha, I thought: even a preschooler can see through that charlatan’s frauds! I had a good laugh, of course. But as I spent a couple hours wandering through “The Power of Place,” I kept returning in my mind to that comment. Because none of these pieces rely upon the lazy solipsism of that Warhol; none of these pieces are Anywhere. They are Somewhere, and they are rather proud of it. Visual art, and our world at large, could use a little more of that. R.M. Stangler works in the administration at Donnelly College in Kansas City. He earned a Ph.D. in rhetoric at the University of Kansas, where he wrote his dissertation on Richard Weaver and the Southern Agrarian writers. 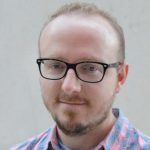 He has taught at the University of Kansas, Donnelly College, and Berry College, and he is at work on a book about Weaver, agrarianism, and American culture. Although I now live in eastern Missouri and grew up on the South Side of Chicago moving to Kansas in the 1960’s provided me a sense of place never felt before. I have lived in western Kansas and eastern Kansas during my career in education. Graduating from the University of Kansas made me a Kansan through and through and marrying someone from McPherson added depth and breadth. When my friends from Missouri and other places say there’s nothing there but endless prairie. I smile and say that’s what makes it special, it’s what isn’t there that gives it my sense of place and refuge from the rush toward modernity exemplified by the suburbanization of suburbs in ever increasing rings around decaying cities. My years in small towns where everyone knew each other for better or worse loom large in my mind as they are now a part of me wherever I live. The same is true for Joe’s Bakery in Lawrence where I spent many hours people watching while eating too many donuts after drinking too many beers at one of the watering hole, holes-in-the-wall beer joints just off campus. Even today, Lawrence and environs are my sense of place from which my coming to appreciate the way of life of family farming and living off the land are passed from generation to generation but a few miles from the city limits and the world of academia. For years it bothered me greatly that I was “from Kansas” and not living there anymore. The advent of children and grandchildren has mitigated my longing as has writing short stories about those I have known and lived next door to. I can’t get to Lawrence to visit the Spencer showing but I am heartened that its focus upon a sense of place by Kansans has brought to the fore the universal longing for a sense of place that is felt by many others in today’s busy world. Perhaps, too, someone will compile a list of stories, fiction of otherwise, and poems and plays written by Kansas about Kansans.